*** Present one or both of these words on a big poster as part of the Call to Worship. Define them and encourage children to listen for them and even to count them. Have wrapped hard candies in your pocket for any child who offers anything close to the number of times the words appear upon leaving the sanctuary. *** During the sermon display a poster that says “Choose JOY.” Explore the possibility of deciding to be joy-full. Most children assume that feelings just are and only change when the situation around us changes. Suggest that we can decide even on bad days to remember all the reasons we have for joy and refuse to get mopey. Suggest that choosing JOY is a good way to prepare for Christmas. 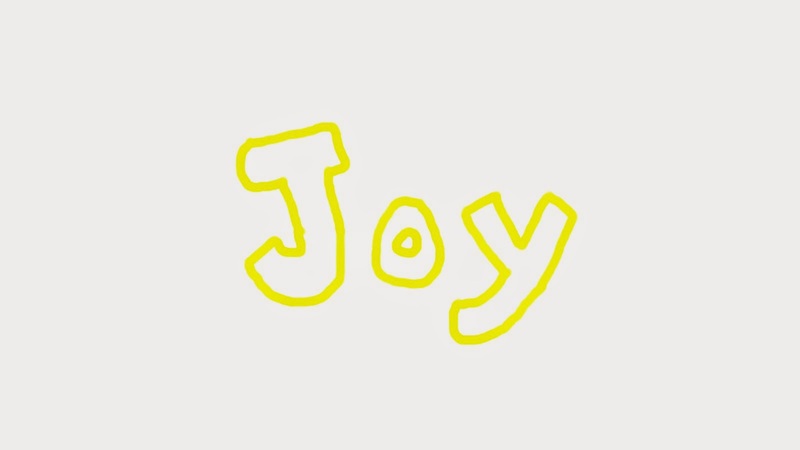 *** Give children small posters featuring the word joy spelled in balloon letters. Invite them to fill the letters and the rest of the page with joyful decorations and to post their poster where they will see it every day between now and Christmas (refrigerator door, bathroom mirror…). *** There is a variety of Advent songs and carols that feature joy. - “Joy To the World” includes many calls for joy. Before singing it today, walk through the words of verses 1. Verse 1 begins with a call for joy. “The Lord is come” says why we should be joy-filled. The remaining phrases tell us how to respond. - The sad sounding verses and happy chorus of “O Come, O Come, Emmanuel” reminds us that it is possible to know joy in sad times. Children will have trouble with some of the words. Before singing it, practice the chorus together and highlight the word “Rejoice!” Consider singing in responsively with congregation responding to the choir, or one side of the congregation responding to the other. If you have an Alleluia banner/poster that you hide away during Lent and feature on Easter, bring it out today. Recall its use and claim Alleluia as a good word for Christmas as well as Easter. - “Good Christian Friends, Rejoice!” is another hymn usually sung later in the season, but possibly appropriate for today. Again the youngest can join in on the first line which is the same for every verse. 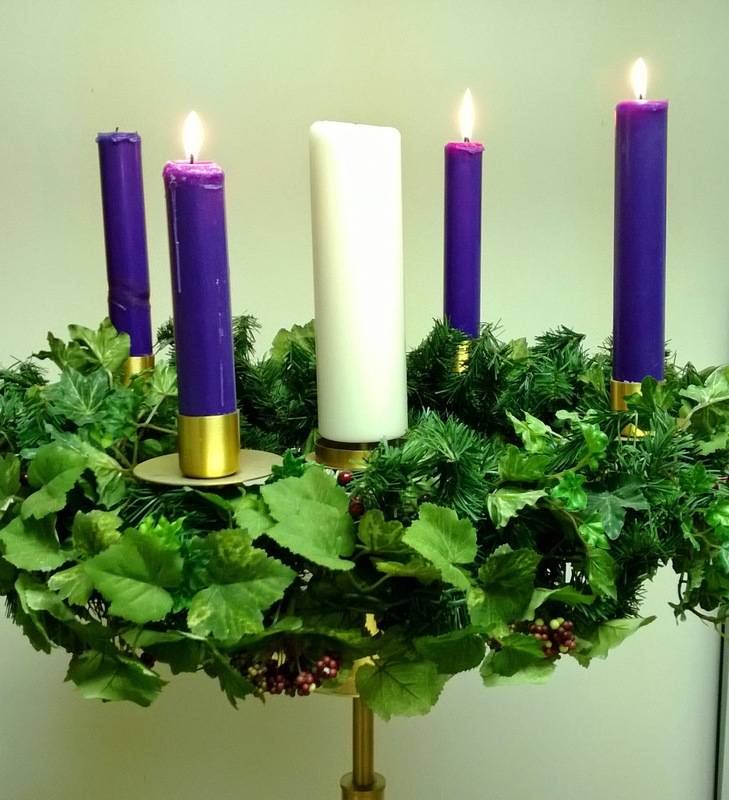 *** Some Advent wreaths feature one pink candle, the joy candle for the third week of Advent. Light it today during the singing of a rejoicing hymn. One candle might be lit on each rejoicing verse or chorus. *** The Roman Catholic lectionary includes only verses 1-2 and 10-11. This omits the exile references and keeps the focus on joy. It is also shorter which is always better for children. *** If you are setting Old Testament texts BEFORE, DURING or AFTER Exile, read verses 1-2. Stop to note that this message is from DURING Exile. After reading verse 3 note that it is near the end of Exile and that good things lie ahead even though life is awful now. *** This is a long reading with two voices speaking. To help all worshipers follow it, have it read by two readers – Isaiah and God. *** Verses 1 and 2 are filled with often used abstract descriptions of the mission of God’s people. For the sake of the children identify specific activities your congregation undertakes for each of these phrases, e.g. children singing in a nursing home is one way of binding up the broken hearted, food drives meet the needs of the oppressed. *** Before reading this psalm clearly label it as AFTER Exile. Note that the psalmist is celebrating being back home. *** Verse 2 says “our mouths were filled with laughter and our tongues with shouts of joy.” A friend’s three year old granddaughter in such joy told her on the phone last December, “Mimi, Daddy and I are going to bring a tree, a real tree, into the house today! And, Mama says it is OK! Can you believe it? !” Invite worshipers to remember places and times they have felt that kind of laughing joy – a starry night, running out into the first snow of the year, finally understanding or doing something really hard…. Use their experiences to define joy. *** The Magnificat is best read by a teenage girl. To help her get into the mood of the song, tell her about a picture of Mary with her hair in braids, wearing a t shirt, rolled up jeans and high-top tennis shoes. (The photo collage I saw is copyrighted, but you easily can imagine it.) 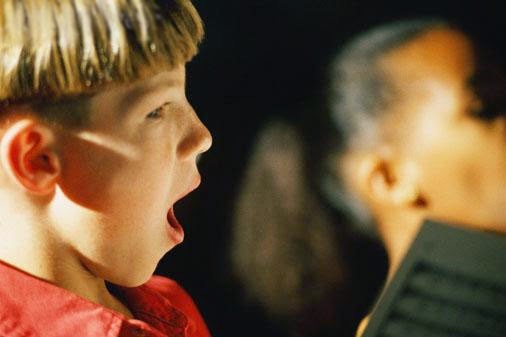 Practice with the reader to get the feisty reading the song implies. *** All this leads me to wonder what Mary’s t shirt might have said. 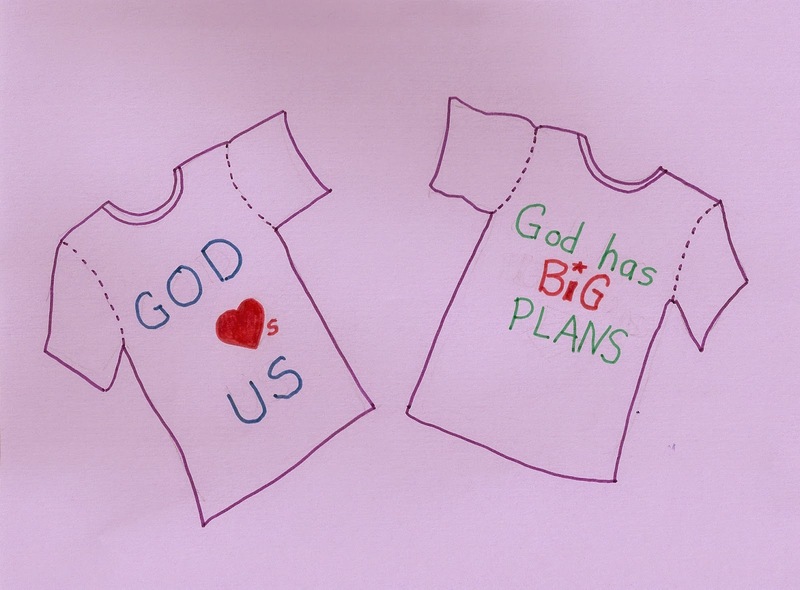 It might be fun to play with the possibilities during the sermon and challenge worshipers to imagine, even design, t shirts for Mary to wear as she sings her joyful song. *** During the last two weeks before Christmas, verses 16-18 speak most clearly to children. At this intense part of the holiday season it is easy for them to get jealous of what others are getting and to feel left out of festivities. Given this it is easy feel and act crabby. These verses remind them to think, pray, and act joyfully. Though Paul does not say it, you can add that we do this not because Santa is watching and will not bring crabby kids the stuff they want. We do it because we know God loves us all and came to live among us as Jesus. Reader 1: Always be joyful. Reader 3: Whatever happens, keep thanking God because of Jesus Christ. Pastor: I pray that God, who gives peace, will make you completely holy. And may your spirit, soul, and body be kept healthy and faultless until our Lord Jesus Christ returns. 24 The one who chose you can be trusted, and he will do this. *** John the Baptist was the first to point people to Jesus. He is most often pictured either baptizing Jesus or pointing to him in the distance. Since I cannot find such a painting that is free of copyright restrictions, I’d suggest getting two men to pose one or both pictures. If you do both, pose the baptism of Jesus first and briefly remind people that John baptized Jesus. Then, pose John pointing to Jesus. Note that though John was the first to point others to Jesus, many others also did. For example, after they visited the stable on Christmas, the shepherds told everyone they met about what they had seen and heard. The Samaritan woman Jesus met at a well gathered all the people in her town to meet Jesus saying to them, “Come and See”… this man. The women returning from the empty tomb, say “We have seen the Lord.” From here invite worshipers to join all these folks pointing to Jesus.